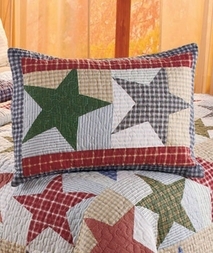 A traditional Americana cotton sham with two large rustic stars in navy, burgundy, evergreen, sky blue, taupe, and white in alternating plaid and check patterns. Printed fabrics are pieced together and feature all-over vermicelli stitching. Reverses to a navy/white plaid. 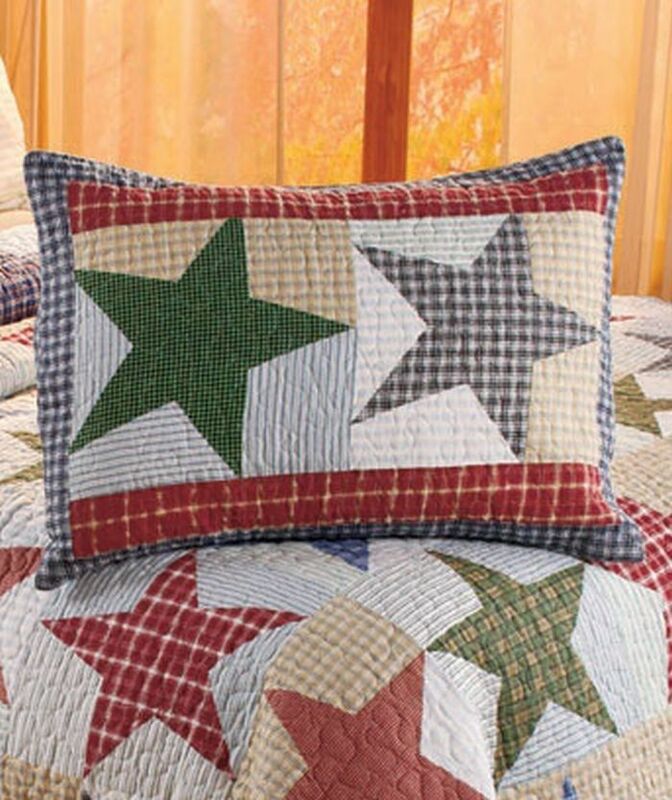 Set contains two shams.